After our 15 hour journey into Santiago, I leave Jason at the hotel to nap and head out into the streets of Santiago! We are staying in the fantastic, historical area known as Barrio Lastarria. I love our hotel. It’s got tons of charm, character, great service and a yummy breakfast is included. It’s called The Lastarria Hotel. It’s also in a great location. Just a 5 minute walk, the streets are loaded with cafes and restaurants, the area is filled with the buzz of people. Fruit vendors and antique dealers. It is lunchtime! I walk up and down the tiny streets and stumble on a sweet courtyard with 8 options for lunch. I choose the quaint looking restaurant Casa Lastarria. It’s modern looking, with a rustic edge and the menu is filled with Chilean specialties. I quickly decide to start with a glass of Spumante (sparkling wine) and some ceviche. 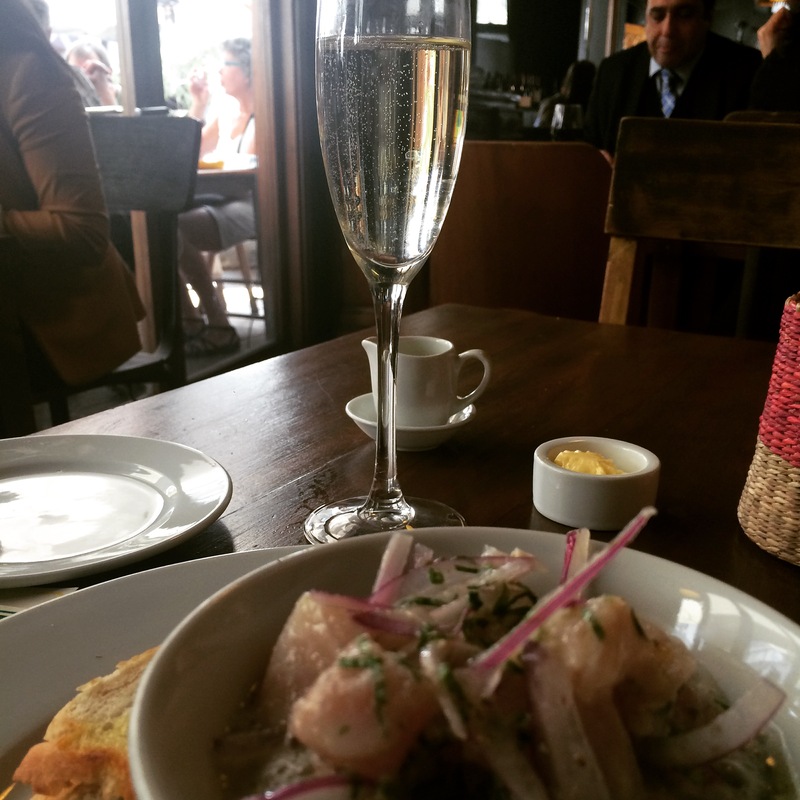 A glass of Spumante and ceviche. Next is the Pastel de Chocolo (Corn Pie). It is a pastel food based on sweetcorn or choclo, meaning “tender corn”. First documented as a dish in Peru, it is now a typical Chilean dish. 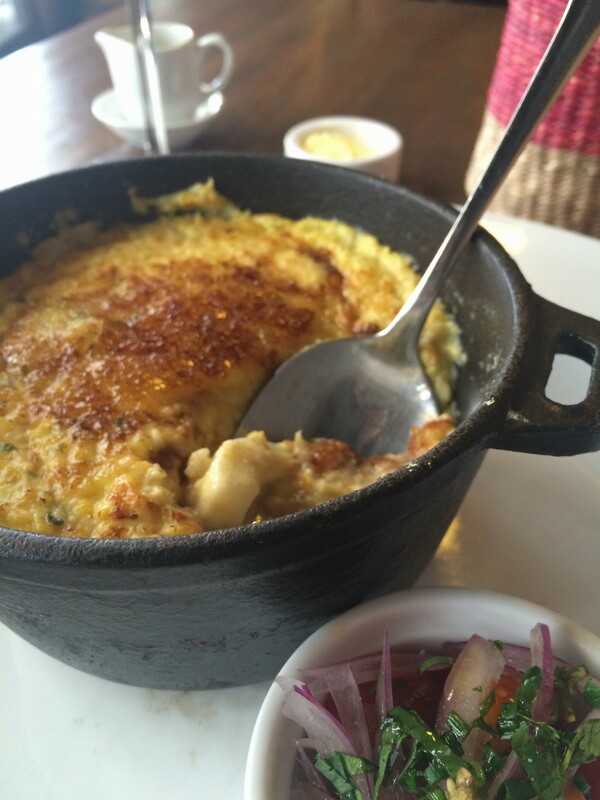 It is also similar to pastel de elote, found in Mexican cuisine, and to the English corn pudding. Pastel de choclo is traditionally served in an earthenware bowl in an individual portion. The filling usually contains ground beef, chicken, raisins, black olives, onions or slices of hard boiled egg. It is soft the whole way through, with no crust and a lightly sugared and crisped top, the perfect mix of savory and sweet. Mine is served with a side of rustic salsa. Not spicy or overly seasoned, it’s simple and good. I’ll try to recreate this perfect comfort food when I get home! After lunch, I swing by the hotel to get Jason. It’s actually a warm Spring day in Santiago, so it’s perfect for checking out the sights! 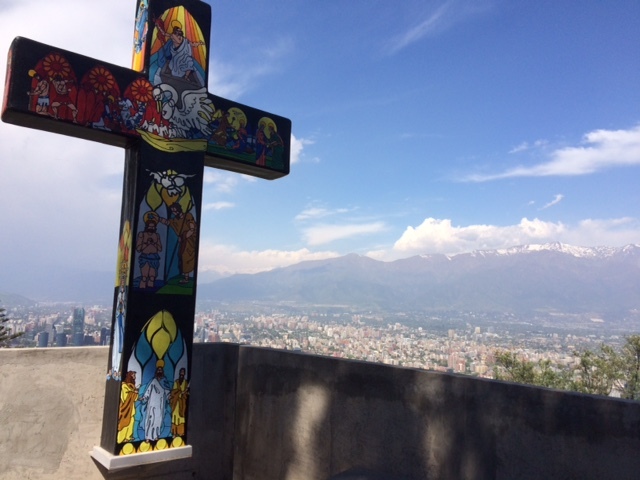 We decide to go up to San Cristobal Hill, overlooking Santiago. The view is amazing. By the time we get back to the hotel, we are ready for helado (ice cream). It seems to be very popular here. At least 4 heladarias in our neighborhood. One place, in particular, stands out. They sell ice cream on a stick, in many different flavors. They are actually, much lighter than ice cream, icy, more like a popcycle. So good! Jason gets the dolce de leche and I get the salted caramel. I completely recommend this place. It’s located in an upscale hotdog joint (strange, I know) called Hogs. 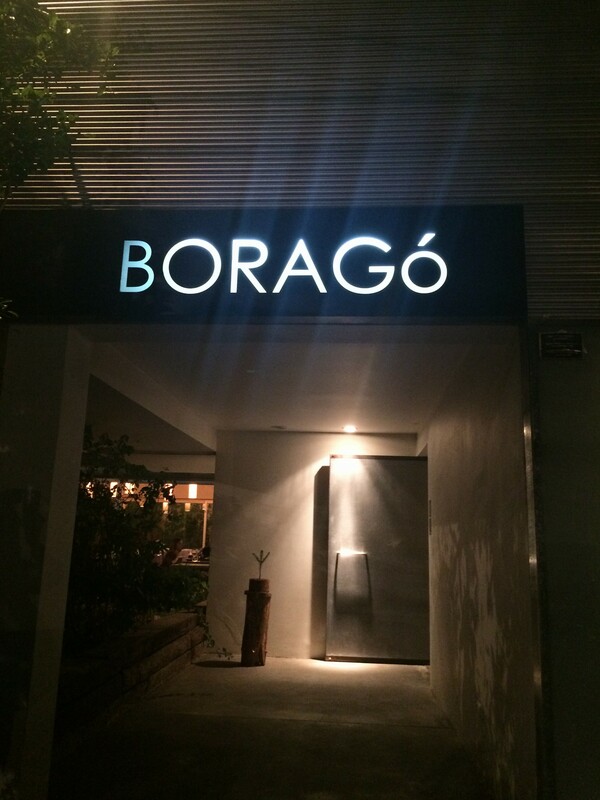 When we arrive back to our hotel, we find out that the hotel staff has accidentally booked us at the best restaurant in Chile called Borago. I had tried earlier in the week to get us in, but it was full. On some miracle, they were able to get us in! We arrive for our 9pm reservation, having no clue to the meal that we have in store for us…18 courses of regionally inspired and foraged food, artistically presented and painstakingly prepared. It was amazing. I’ll post some of the prettiest pictures here, but I honestly cannot begin to accurately describe what we were consuming. Truffles from an indigenous oak tree. Yogurt nougat covered in flowers. All I know, is that it was amazing! Each dish is brought out by the chef who prepared it, was intricately described. It was the best meal I’ve ever had! Thank you Borago! The next day, we decided to go to the Mercado Central. Built in 1872, it is considered to be one of the best fish markets in the country. It’s a very popular destination for lunch. Local kitty, guarding the fish market. I cruised around the entire market, taking pictures and chatting with the fish mongers. It is huge, with lots of restaurants surrounding it. Unfortunately, Jason got grossed out with the smell of fish (even though the restaurant area was fine), so we decided to eat elsewhere. We walked back to the Lastarria neighborhood where I had made a backup plan for lunch at Tambo. This is a Peruvian restaurant that’s very popular with the locals, so reservations are a must! The decor is pretty simple and modern, not as inviting as some of the other cafes on that street, but don’t let it fool you. This place has the best ceviche I’ve ever tasted. Ceviche, loaded with huge kernels of corn and red onion. I savored EVERY. LAST. DROP. And then finished my lunch with a Pisco Sour. I’d go back here in a heartbeat! 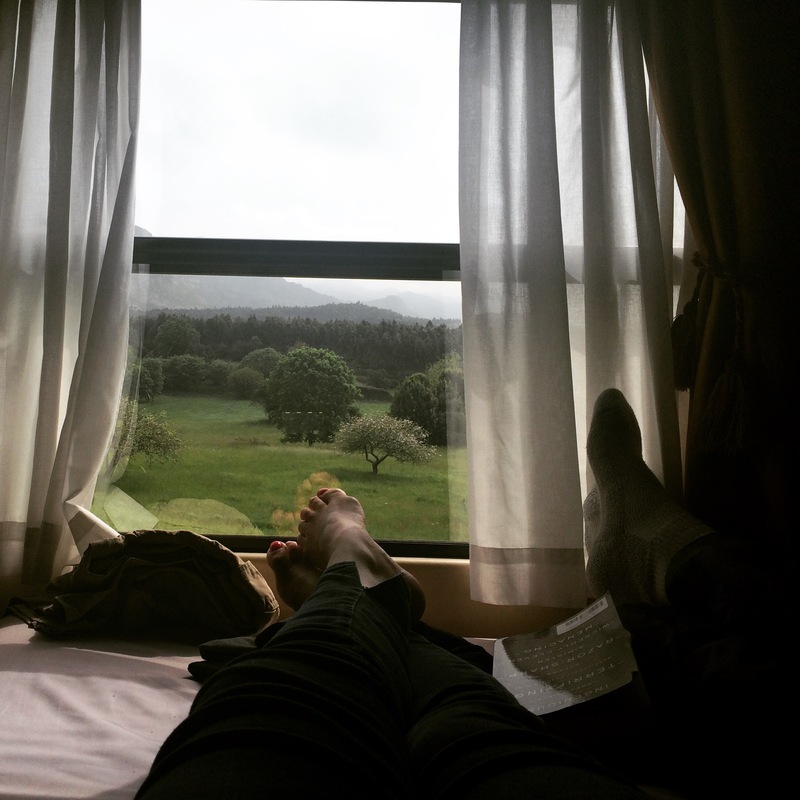 After two relaxing days in Santiago, we begin our journey to Patagonia. It’s a 4 hour plane ride further south and 4.5 hour drive to our hotel, Explora. The food at Explora was good, but simple. 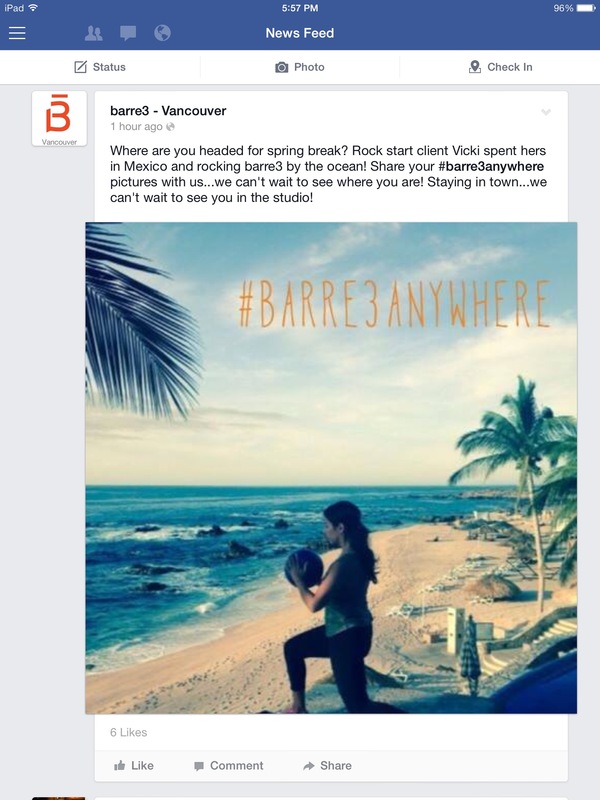 We were on a fitness retreat and they are appealing to the adventurers and healthy crowd. Shrimp on fava bean purée. At dinner, we ate tons of seafood such as grouper, salmon, conger and crab. We also had a fair amount of lamb and beef. For lunch we had simple soups and a variety of quinoa salads, which I extremely enjoyed while we were on the trail! One of the best highlights was the Patagonian feast that awaited us after a particularly grueling, freezing cold, wet hike! The meal was served in a cabin that was solely heated by the large BBQ/ fireplace in the middle. It was warm, dry and smelled of the bbq’d meat that had been cooking. Unfortunately, being gluten free meant that I couldn’t eat the empanadas. They served two types, corn with black olives and spicy ground beef. Everyone raved. They also served a sausage similar to chorizo, but not as spicy, bbq’d chicken, beef and a whole lamb. To balance out the meal, they offered us a wide variety of salads too. It was my favorite meal in Patagonia! Lastly, our trip would not be complete if I didn’t mention drinking caffeine rich Mate with the Gauchos, after an afternoon of horseback riding. Mate is strong flavored and served hot! And nibbling on indigenous berries (juicy and tart) and fungus (very similar to a mushroom….earthy and sweet) while hiking the trails. Edible berries all over the trail! 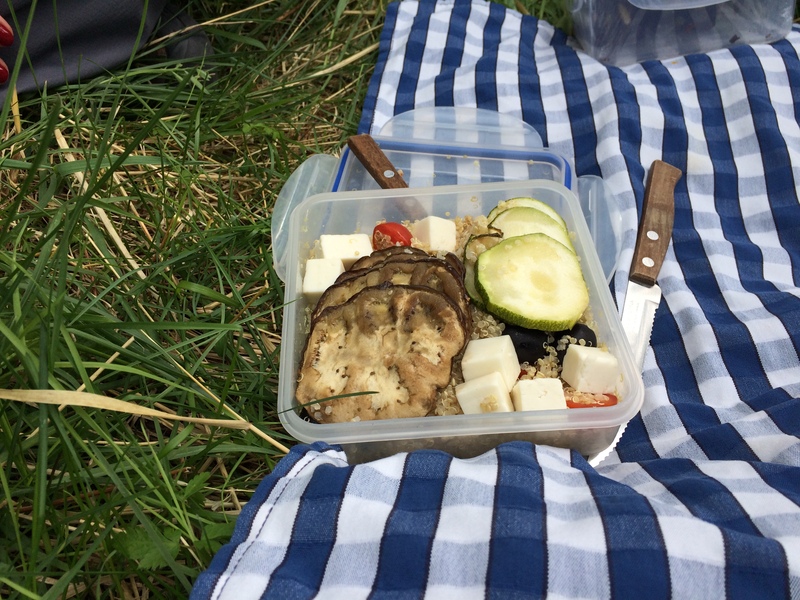 The Travel Trifecta…..food, fitness and culture! Traveling has been an important part of my life for the last 20 years. When Jason and I got married, I spent hours and hours researching a warm, exotic, unique travel destination. In the last two decades we have travelled to Cozumel, Roatan, Italy, Spain, the Yucatan Peninsula and Mexico. We generally avoid big box hotels, frequent boutique inns and enjoy local food experiences. Once I started taking better care of myself, I struggled incorporating fitness into my travel plans. I would search for local yoga studios, go on a hike or a run, but it was always a struggle. I finally decided to research fitness retreats. The problem with most of the retreats is that they seemed to be very focused on yoga, beach and relaxation. They bored me. I was craving adventure, spectacular locations and yummy food. Then I stumbled on Escape to Shape. Finally, a fantastic concept in fitness retreat that appealed to all of my travel senses! Run by Erica Gragg and Francesco Anchisi these retreats are perfectly curated for those seeking a well balanced vacation of culture and fitness, at off the beaten track destinations. Every detail is perfectly arranged, from the moment you are met at the airport, to the tasty and healthy meals, to the cultural tours, to the accommodations (generally at small, character hotels, that offer amazing food and services). Our first trip with Escape to Shape was in March, to Cambodia. It was 7 days filled with amazing culture, exploration and yoga. Erica and Francesco were the perfect hosts. We. Were. Hooked. 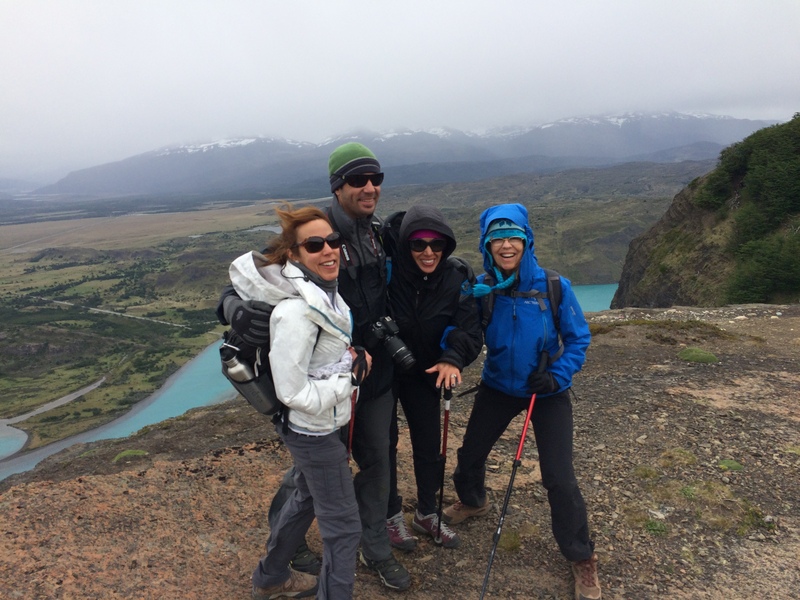 We immediately booked another trip with Escape to Shape and found ourselves on the far end of the earth in Patagonia in November. 19 of us made the long journey down to the tip of Chile in Central Patagonia to Explora, for 7 days of extreme adventure and exploration. All, but two of us, were repeat Escape to Shapers, with most having been on 5+ retreats. Our second trip did not disappoint! The location and accommodations were spectacular!! 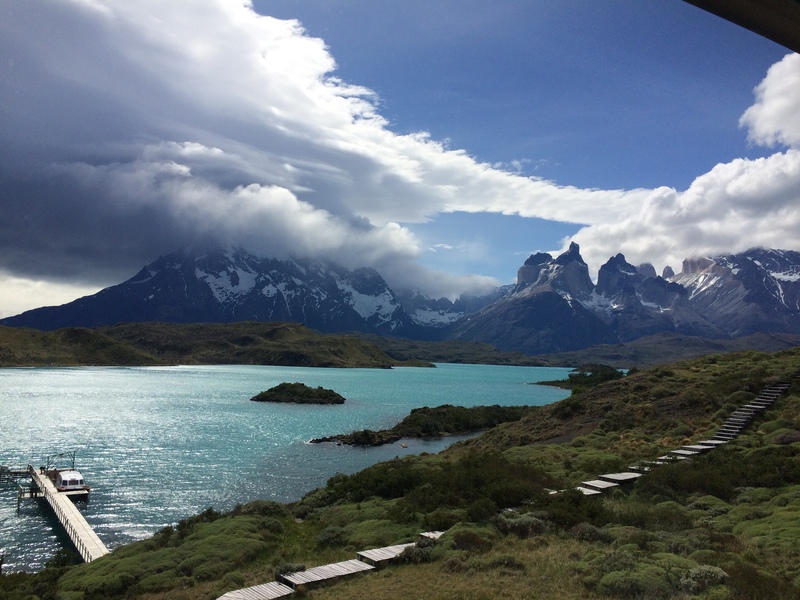 The Explora Patagonia is one of the most picturesque and remote hotels in the world. Amazing views around the property! 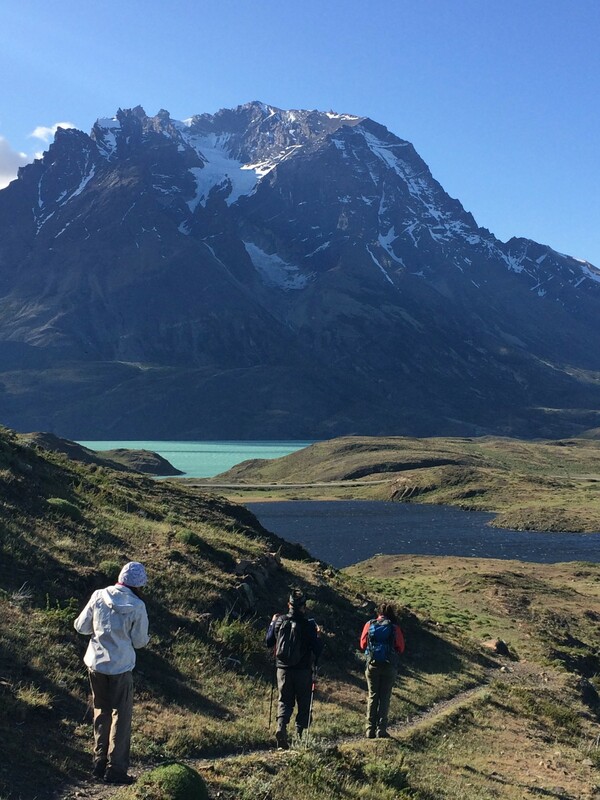 Perched along Lake Pehoe, next to the Salto Chico waterfall, it overlooks Paine Massif and its granite towers. The water is the brightest, clear blue you have ever seen. Pictures cannot accurately reflect the magnitude of the beauty here. Need I say more?! The large staff of trained guides to take you on any level of fitness adventure you desire. Everyday we had a wide variety of hiking excursions and horse backing adventures from which to choose, followed by an hour yoga class in the evening. Battling the wind was a team effort! There was also plenty of time to relax, read, swim, sip wine or take a hot bath. It was honestly, the perfect blend of fitness, relaxation and exploration. Everyday we were in pure awe of our surroundings, whether enjoying the warmth of the sun, or pushing our way through 60 mph wind gusts and rain. Hiking through the wild blue yonder! Unlike other Escape to Shape adventures, the cultural experiences consisted of educational lectures on the geography of the area, history of the indigenous people, and information on the variety of flora and fauna. The land is actually more fruitful than you’d think, given its harsh conditions. 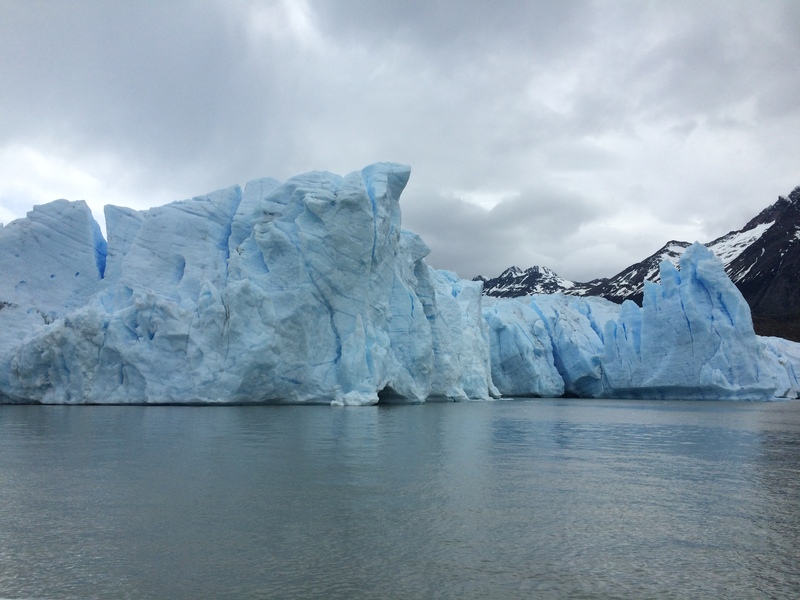 Some highlights of my trip was a half day hike to a massive glacier and boating around its gorgeous blue crevasses…. Hiking through a brutal wind and rain storm, then finishing the afternoon at the Quincho (wood BBQ heated cabin) to warm up and enjoy a Patagonian BBQ feast….. 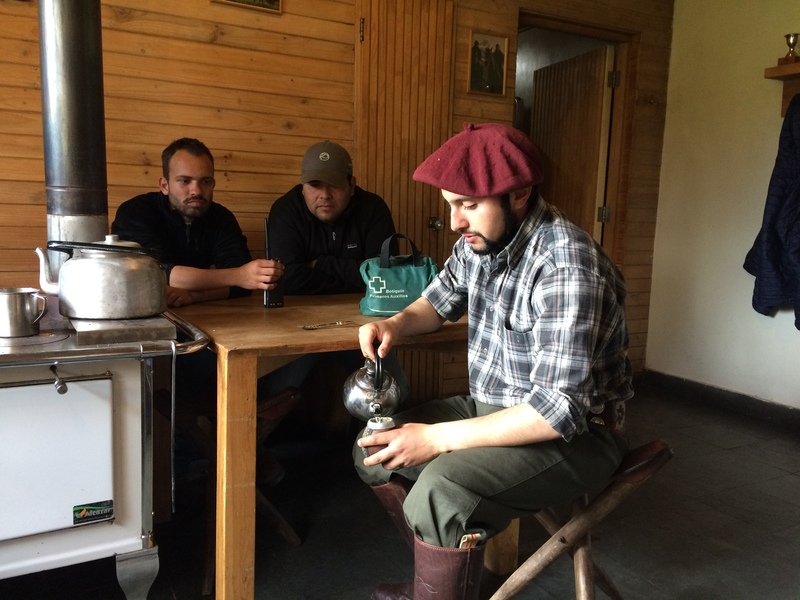 Sharing a cup of mate with the Gauchos after our horseback riding adventure……..